Hello! 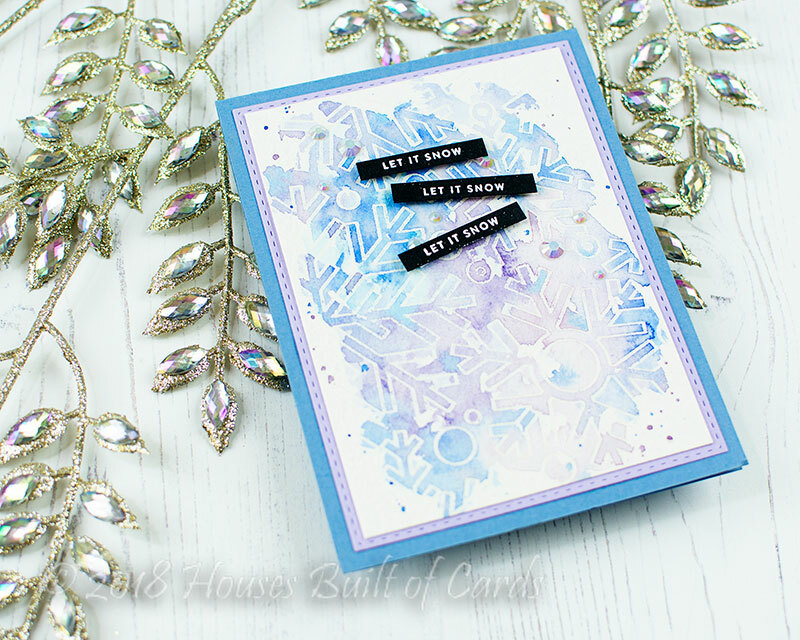 Stopping by tonight with a quick card I made using some of the BRAND NEW Fun and Festive release from Simon Says Stamp! 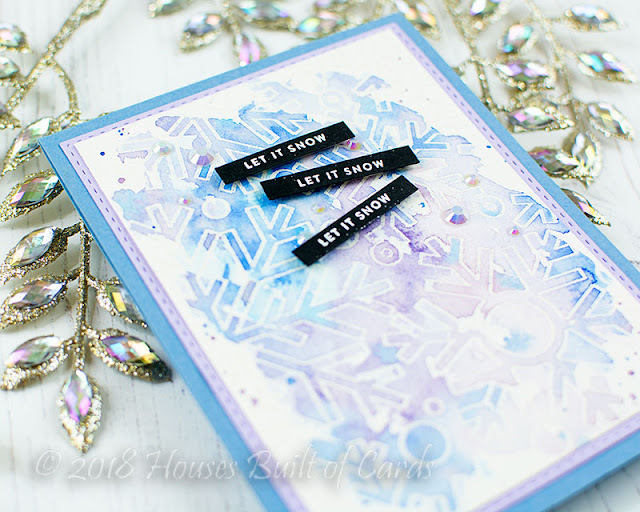 As the name suggests, this release has lots of things to get you ready for the winter and Christmas season! You can check out the entire release HERE! I have a simple watercolor resist card to share tonight using a new background set - Outline Snowflakes - and a darling new sentiment set - Tiny Words! For my card tonight, I stamped and heat embossed that lovely Outline Snowflakes background on a panel of Arches Watercolor paper - then watercolored over the clear embossing with my Daniel Smith watercolors in a loose random pattern using a mix of blues and purples. I love the soft dreamy effect it gave! Next, I heat embossed a sentiment from the new Tiny Words stamp set 3 times on black cardstock, then trimmed into tiny strips and mounted with foam over my background. 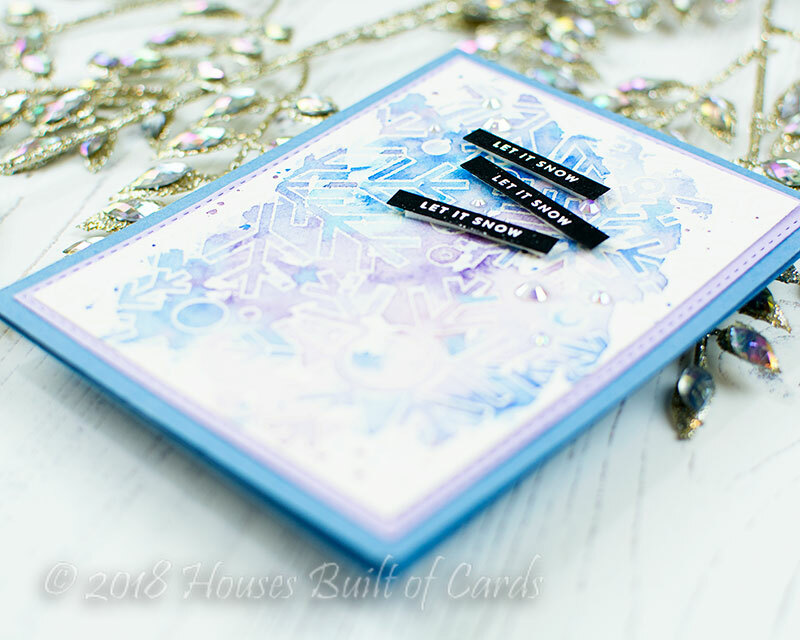 Finished off with a few white jewels, then matted with a bit of Lavender cardstock die cut with Stitched Rectangles and mounted on a Cornflower cardbase. I'll be back later this week as part of a fun blog hop to celebrate! 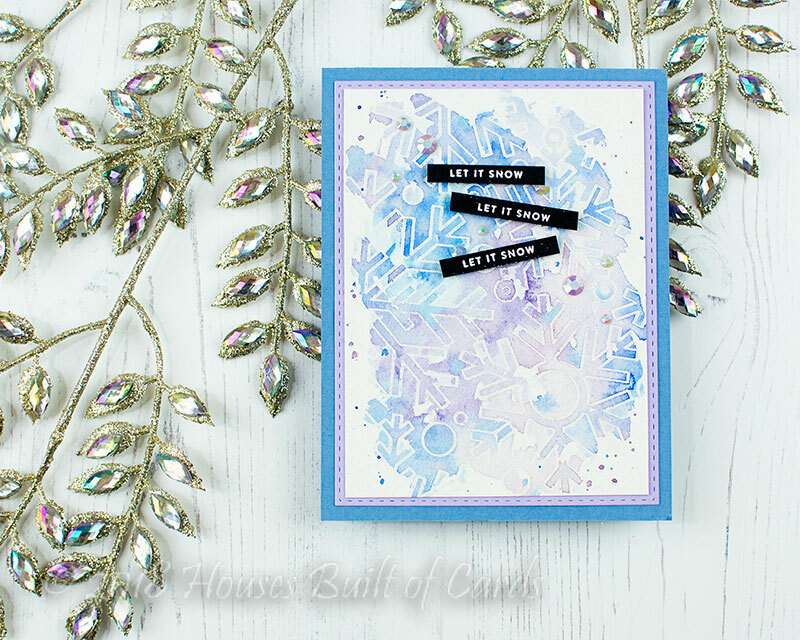 Make sure and stop by again on Thursday to see my second card with the new release!